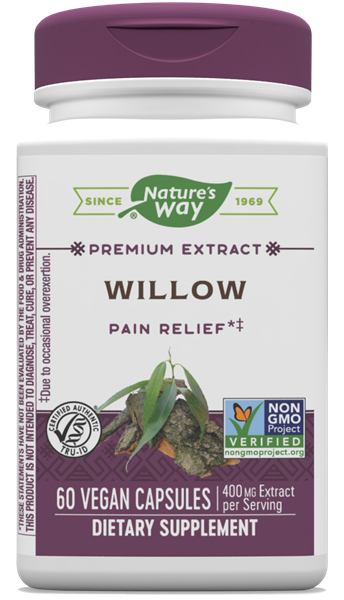 White Willow Bark / 60 Caps - Nature's Way®. Our Willow Bark Extract delivers 15% total salicylic derivatives, expressed as salicin. Take 2 capsules twice daily, preferably with food. Do not exceed recommended dose.